13.5 x 23.5 in. / 34.3 x 59.7 cm. Ontario Society of Artists. Catalogue of the thirty-eighth annual exhibition open from March 5th, 1910. Toronto, OSA, 1910. n.p. Illus. “Notable pictures at the exhibition of the Ontario Society of Artists.” In The Globe, March 12, 1910, p. A2. Illus. Staley, J. Edgecumbe. 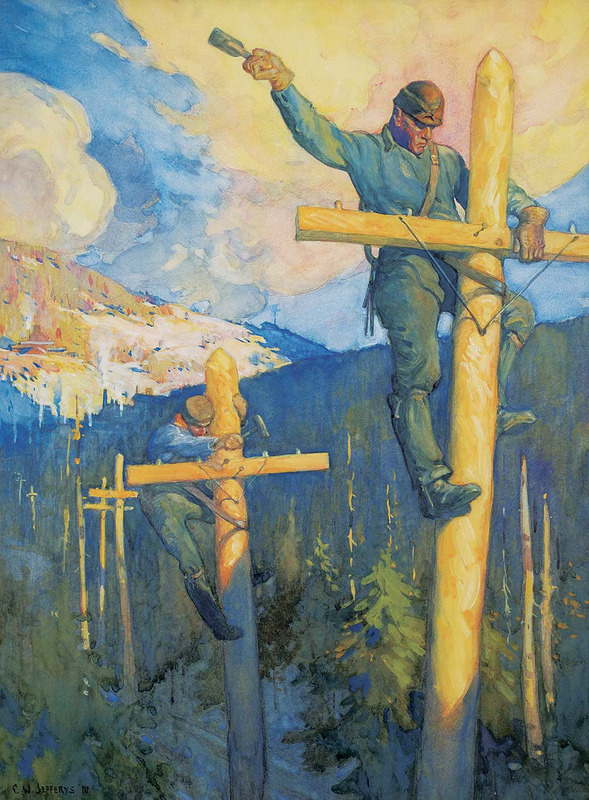 “Jefferys -- Painter of the Prairies” In Maclean’s July 1913, p. 81-86. Illus. 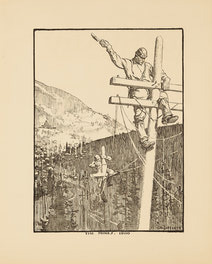 “Figures in a landscape: 1907-11.” In Northward Journal, no. 20, 1981, p. 30-34. Illus.